As a young girl in August, there was Little League Baseball Championship to watch as the end of the summer dawned and school was about to start. Depending on the summer, I would watch with family friends and we’d marvel at the twelve to thirteen year old boys who played baseball with heart. In 2014, I watched again. 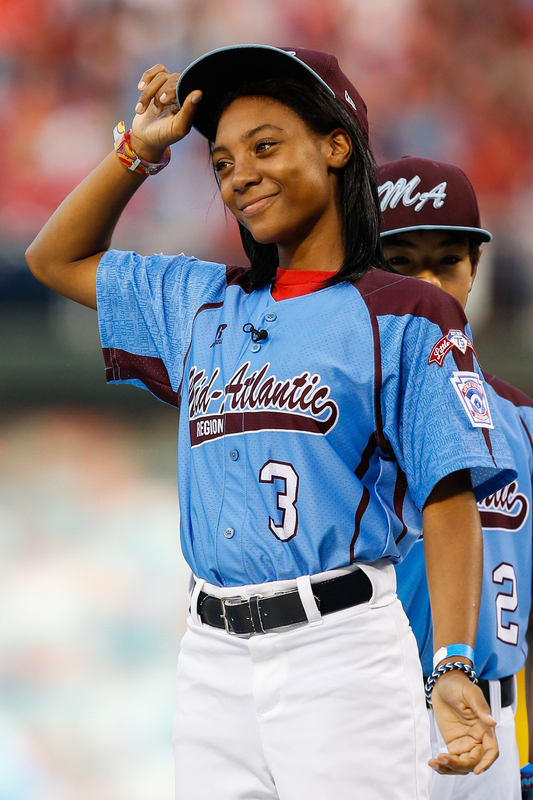 That summer, the world met Mo’ne Davis, who was one of two girls in the final tournament. Mo’ne Davis wowed the world, pitching a shut-out and getting a hit as a batter. She turned heads and raised the bar about women in male-dominated sports. While Mo’ne played with pre-teen boys, Ginny Baker plays with the men. Men of Major League Baseball. It’s no easy task to be the lone girl in the room, testosterone all through the clubhouse. Ginny succeeds. It’s not easy, to be sure, but for a woman watching another woman play with the guys, getting there is the success. As in most of my life, there are guys who don’t trust Ginny for her skill or her finesse, but as the end of the season closed, Ginny was so close to a no-hitter. She was just like every other pitcher who had gone through a game without a hit. In a world where life wants to throw lemons at everyone from left and right, Ginny Baker’s success showed the world that half the population isn’t lesser than these men who hit balls over three hundred feet and throw a ball over one hundred miles an hour. Pitch is a show that allows women to finally see that in sports, we don’t just have to play with the other girls. 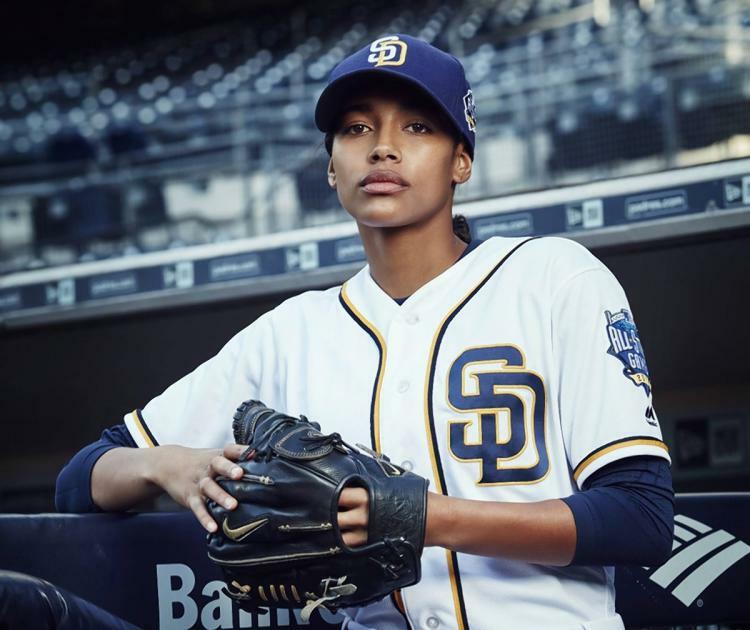 Mo’ne Davis and Ginny Baker are two women (one real and one fictitious) who defy odds and make it clear that just maybe the glass ceiling’s ready to be smashed in every part of society. The message of Pitch didn’t reach as many people as I’d like, but I still hope that the ratings are good enough for another season. Ginny’s recovery from her injury is too important (and too real for sports fans) to not root for her and hope for a longer narrative. Sunday evening, one of America’s great golf ambassadors, Arnold Palmer, passed away. He was the driving force for golf in America in the 1960s, shaping how and when Americans watched and cared for golf as a sport. My life has been shaped by golf from a young age. My father is an avid golfer, albeit a golfer with a twenty handicap. But, he loves the sport and he wanted me to love it too. It was one of those constants: if there was a major tournament that weekend, there would be golf on one television. Looking back now, golf wouldn’t have been the staple of my house without Arnold Palmer and his passion and skill. Between the late 1950s and early 1960s, Palmer won numerous tournaments with class and flare. He made golf exciting, he made it look like something that could appeal to everyman. Two of golf’s other ambassadors, Jack Nicklaus and Tiger Woods, were fans of Palmer’s style and grace of the game. They followed in Palmer’s footsteps, creating a game that mattered to hundreds of people. His death, complications from heart problems, will leave a hole in the golf world. The world that lives and dies on birdie puts, the lip of the cup foiling the perfect shot on the green, and the long drive that lands in the middle of the green. 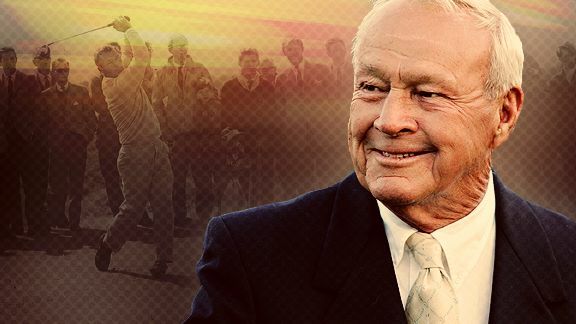 To say that Palmer had a lasting impact on the game of gold is an understatement. Television, sports television especially, thrive on excitement, great runs and dramatic finishes. Palmer provided all of those and more, returning to tournaments as recently as this summer, reminding all the fans that he still cared about the game and his role in it. Sunday wasn’t just the day we lost a gold legend, but we also lost one great man.